The smell of Sophysticated Minerva Cakes lingers in 6th grader, Sophy Jarka-Sellers’ kitchen. 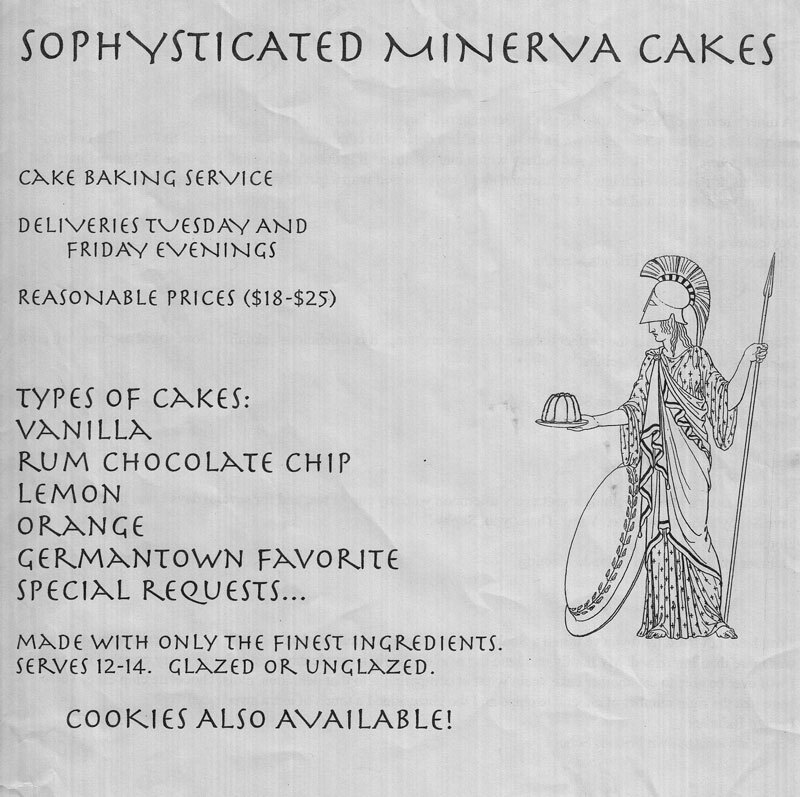 Sophy has started her own cake-baking business, (Sophysticaed Minerva Cakes) and it is going great. Sophy’s cakes range in price from $18 to $25, and can servebetween 12 to 14 people. It was a pleasure to sit with Sophy and talk to her about her business. She gets about one order a week, and bakes her cakes on Sundays; then delivers her cakes on Tuesdays and Fridays. The types of cakes she bakes are: Vanilla, Rum Chocolate Chip, Lemon and Germantown Favorite. She will also take special requests. Sophy uses the same recipe, which is the Boston Favorite, but just puts different variations on it. Sophy says that she doesn’t really have a favorite cake, since she likes them all, but if she had to choose then it would be either Vanilla or the Germantown Favorite. Sophy’s biggest customers are members of the Germantown Meeting and sometimes student groups and teachers from GFS. She can also make cupcakes and cookies. The cookies are $15 a batch. She makes all kinds of cookies. All of Sophy’s products are made with only the finest ingredients. Sophy has great references, some being students and some being members of Quaker Meetings. To place an order call Sophy Jarka-Sellers (215-951-9668) or email, hannesjarkasellers@gmail.com.